Do you have a collection that you cherish and add to when the opportunity arises? Do you travel in order to add to your collection? I would love to hear what you always keep an eye out for as you travel, even in your daily walks. I don’t generally support acquiring stuff, and I agree with all George Carlin had to say about stuff, one’s own and that of other people. But a carefully curated collection is something else, of course. Here are a few collections close to my heart and home. 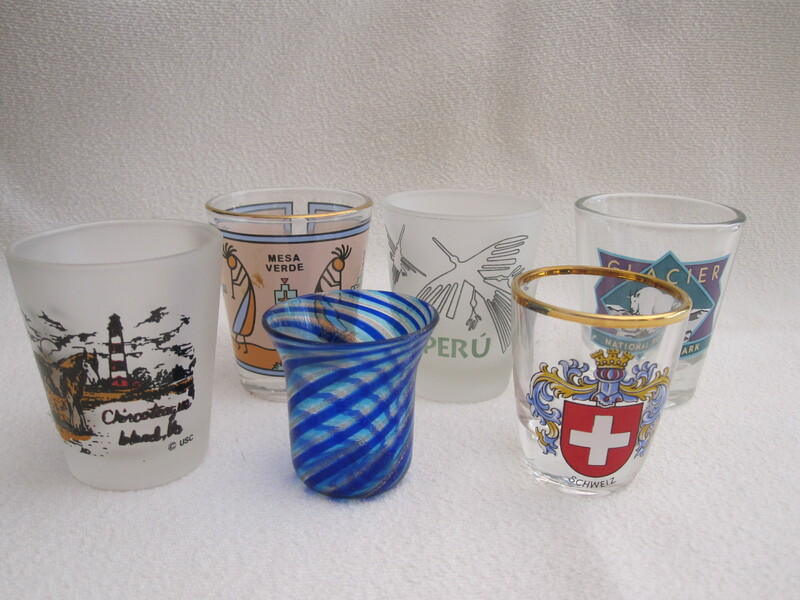 Shot Glasses – Years ago my husband started collecting shot glasses. At first I found them gauche but later decided to embrace his hobby just because it is so tacky. I even had a nice cabinet built to display a portion of the collection. They are a good conversation starter and friends can bring George a memento from almost any destination. 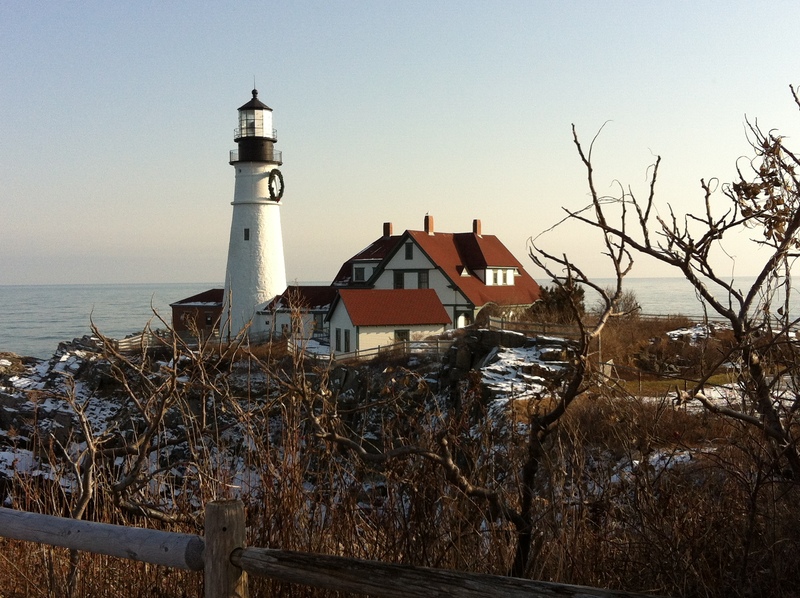 Lighthouses– When our son was in first grade, he was fascinated with lighthouses. We couldn’t bring these home, of course, but living in New England we were well situated to visit them. Any ocean or Great Lakes port we visited provided a chance to collect another memorable experience and sight. And the only thing accumulating at home was postcards. Street Art -More recently my husband has started to photograph street art. Some of his finds are murals or smaller creations, some planned and probably funded; others are works of the people, continuously evolving toward a final stage. All present a different facet of the imagination life of a city. Even the rickety acensores (funiculars) in hilly, gritty Valparaiso, Chile, have served as a local “canvas.” I captured this example of the vibrant decorations everywhere in that city. My current collection in progress is regional folk music. I am fascinated by tango and flamenco music and dance, which have been refined by many singers, dancers, and instrumentalists. Brazilian music such as the samba reggae made popular by the drumming school/cultural group Olodum quickens my heart every time. Uruguayan Candombe would pull me across a street to watch and absorb. The Cambridge-based group Inca Son brings authentic Peruvian music and dance to schools and performance halls all over the world. Maybe I just love drums! This fall I will visit Ireland for the first time; a few evenings in pubs should add some wonderful experiences to my collection, broadening it outside the otherwise all-Latin theme. Whether you accumulate objects, experiences, or memories, your collection can be a wonderful way to organize and remember your travels. What do YOU collect? This entry was posted in Uncategorized and tagged Collections, folk music, Lighthouses, Shot glasses, Street Art. Bookmark the permalink. When were you in Valparaiso? I prefer my collections to be in the digital form, so they don’t take up any space, like photography. 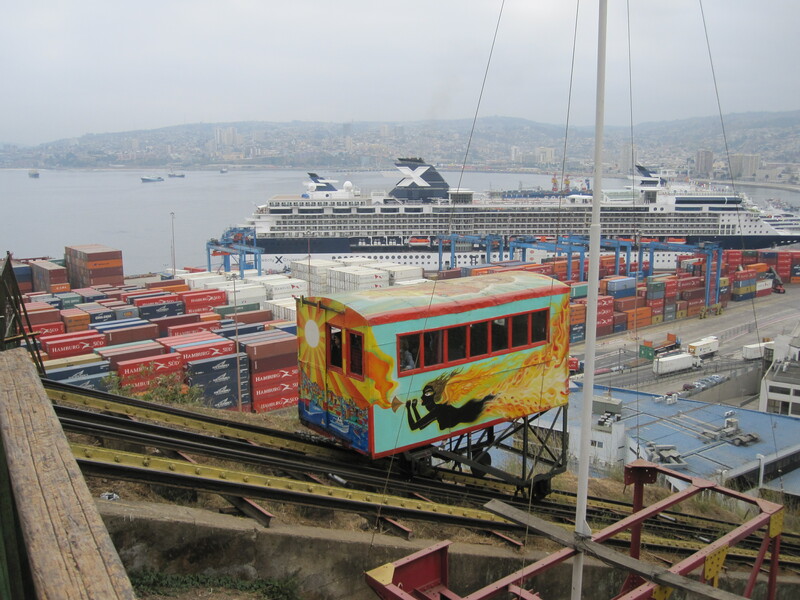 We were in Valparaiso last December and again in March, at the beginning of one cruise and the end of another. Your pictures of the stairways in Valpo are great! I agree about “digital” collections. Memories are even better, but they benefit from support such as photos or diaries – preferably digital. Hey really like your blog, just started subscribing to it. Keep up the good work!